Our practice focuses on employment-related disputes. We can handle virtually any issue related to the workplace. If you are an employee who has been fired, suspended or harassed on the job, denied overtime or wages for hours worked, or if you’ve been presented with an employment or severance agreement and you are not sure whether your employer is treating you fairly, you should contact an experienced Atlanta, Georgia employment law firm, like Fidlon Legal. We also represent employers and businesses of all sizes in the defense of wrongful termination, employment discrimination (race/color, gender, age, national origin, religion, pregnancy, disability), overtime and wage/hour, retaliation/whistleblower, sexual harassment/hostile work environment, Americans with Disabilities Act, Family and Medical Leave Act, non-compete and trade secret claims. We also handle business litigation, including contract disputes, fraud, business torts, breach of fiduciary duties, and unfair competition/deceptive trade practices. 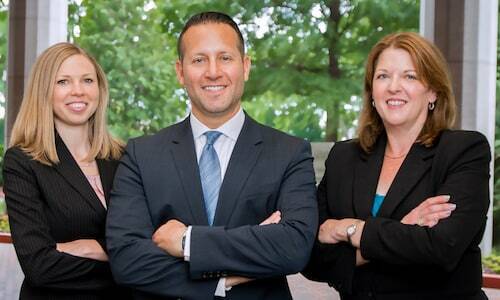 Our attorneys have represented companies of all sizes, from Fortune 100 corporations to “mom and pop” businesses. We have handled individual cases, as well as large, nationwide class and collective actions. The Atlanta employment lawyers at Fidlon Legal are aggressive trial attorneys who are not afraid to take on any adversary, no matter how large. We have successfully litigated and settled cases against some of the nation’s largest corporations and their law firms. However, at Fidlon Legal, we also understand that clients may benefit from less costly and more efficient alternatives to litigation. We are very experienced in alternative dispute resolution methods, such as mediation and arbitration, which can enable you to resolve your dispute more quickly and cost-effectively. In addition to litigation work, we also routinely draft, negotiate and advise clients with respect to employment agreements, executive compensation and stock award agreements, corporate policy handbooks, severance agreements, non-competes, non-solicitation agreements and other types of restrictive covenants. Even if you do not see your particular issue listed here, please contact us. We can handle practically any issue involving the employer-employee relationship and most business litigation matters. We will be happy to offer you an initial case evaluation by phone.